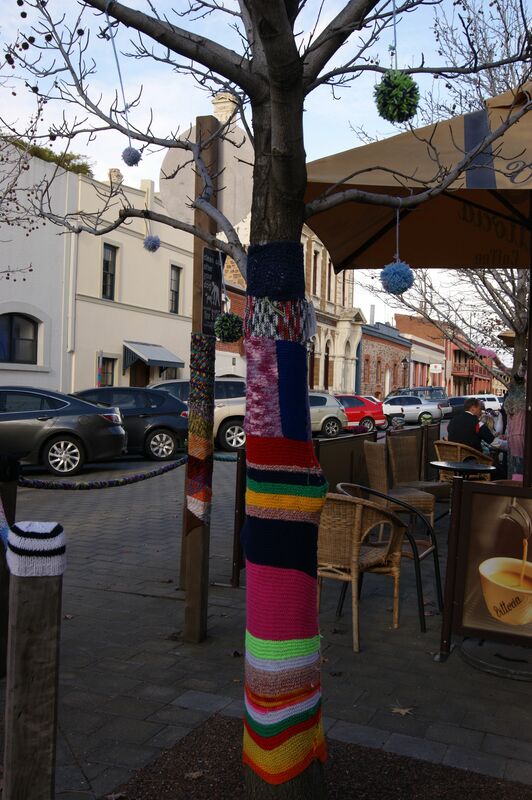 Autumn in South Australia is here & it’s time to get my house & garden ready for winter, so of course I’m yarn bombing everything in sight, to give it a warm feeling. 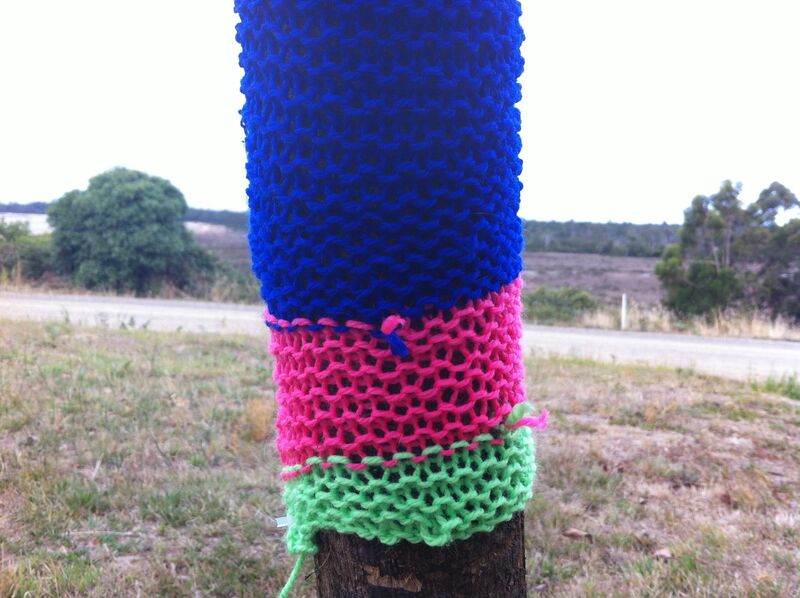 This tree is on my front fence line & was actually dead when I moved into my house. 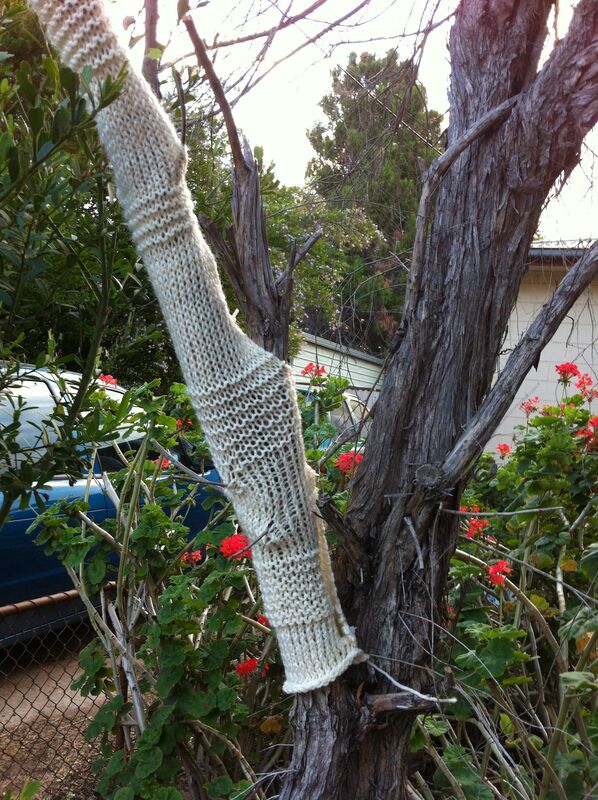 A lot of people told me to cut the tree down but I decided just to trim it back & plant my garden around it. 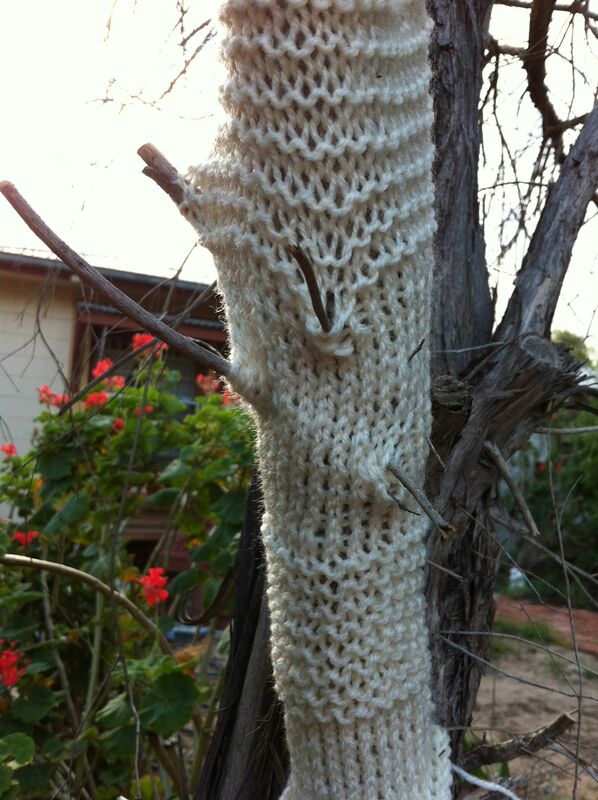 I have yarn bombed one of the main branches with a cream coloured knit. 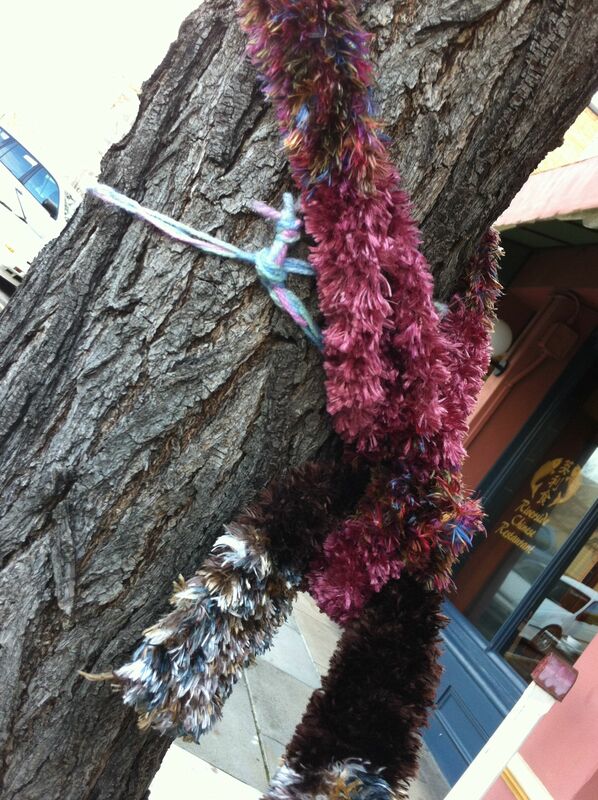 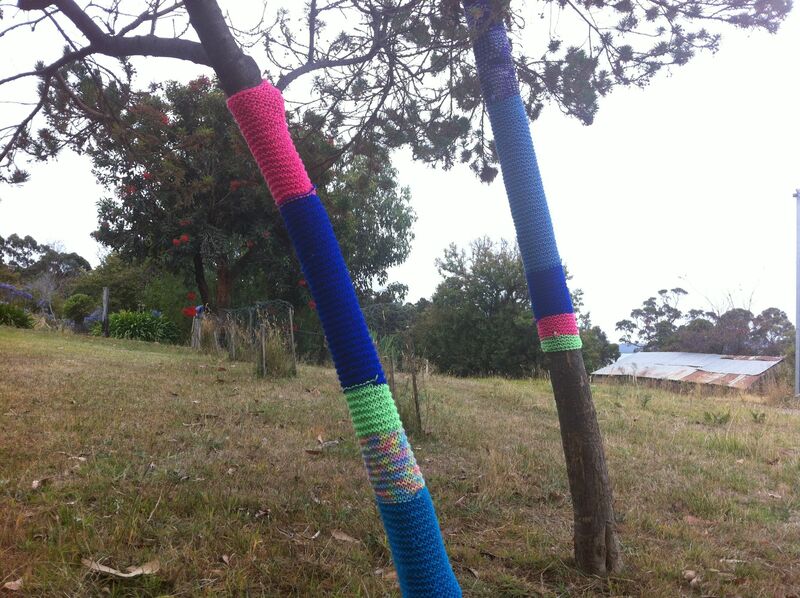 I am planning to adorn the tree with more yarn bombing and some wind chimes over the next few months. 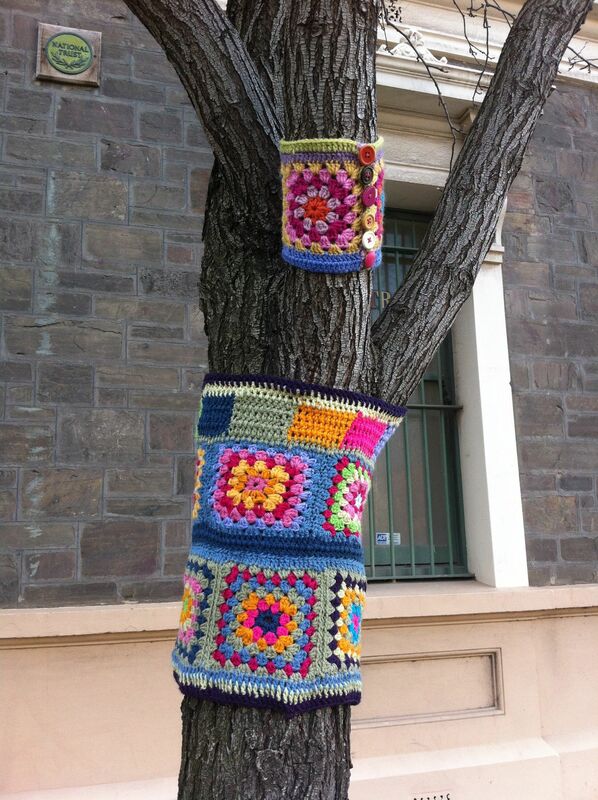 This entry was posted in Uncategorized and tagged art, craft, GARDENING, knitting, photography, yarn bomb tree, yarn bombing on March 30, 2014 by yarnbomb. 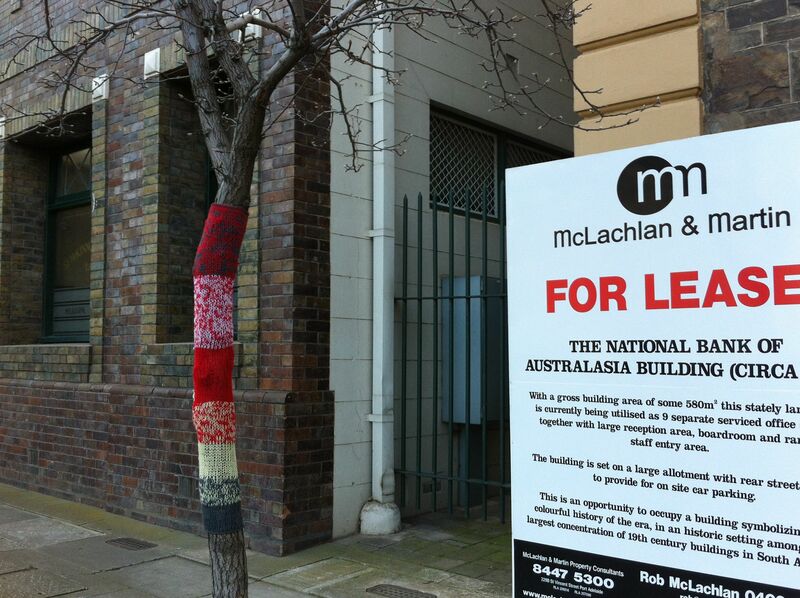 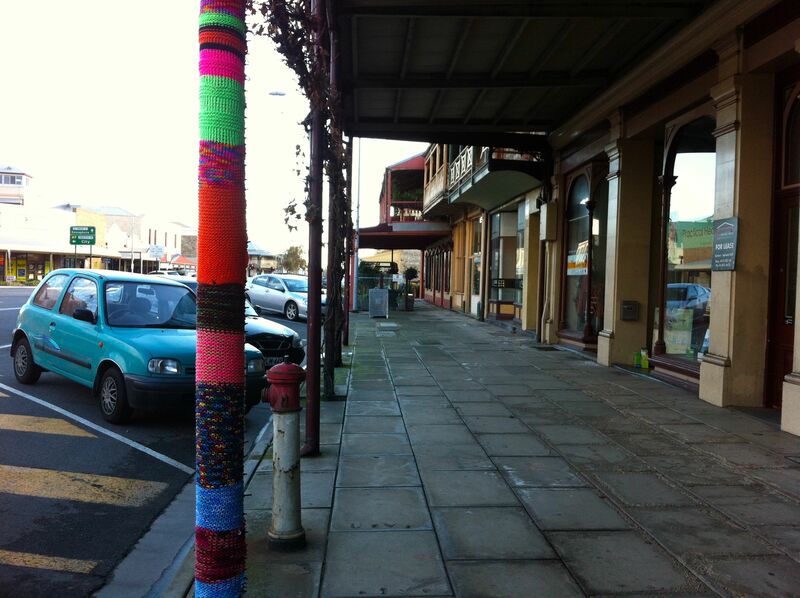 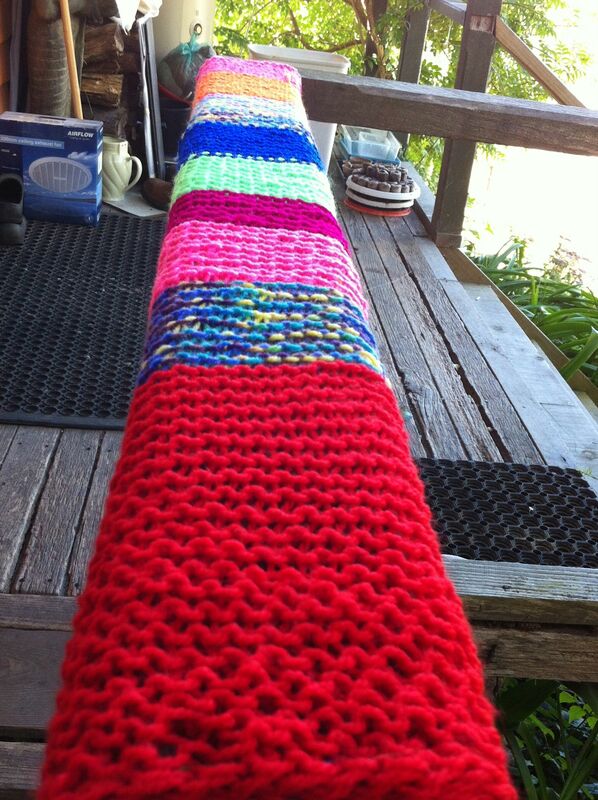 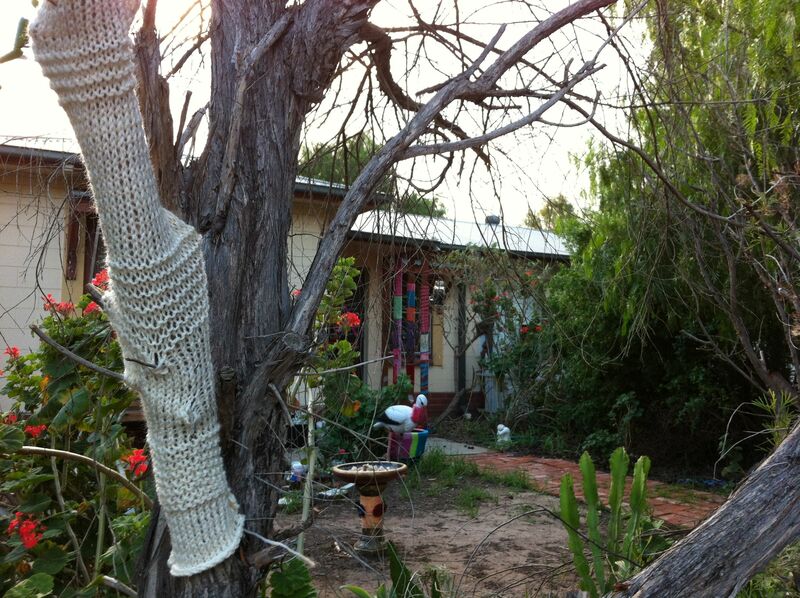 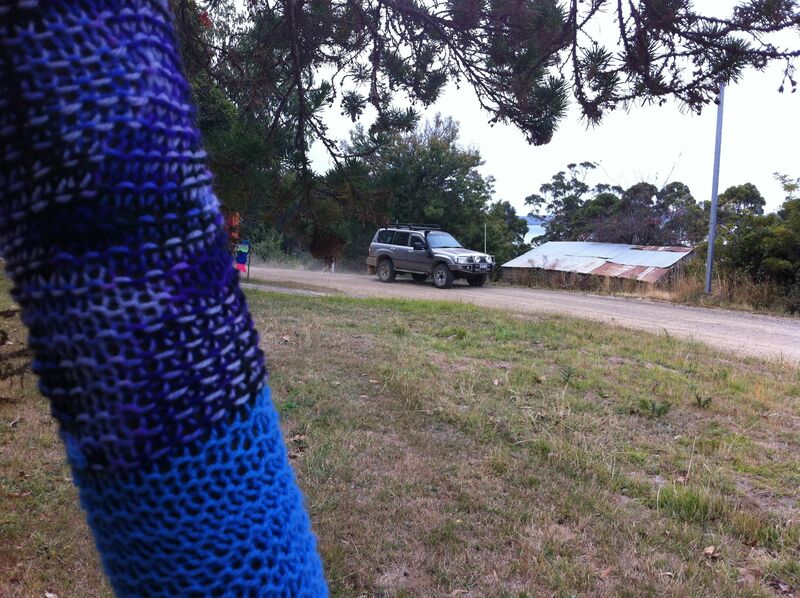 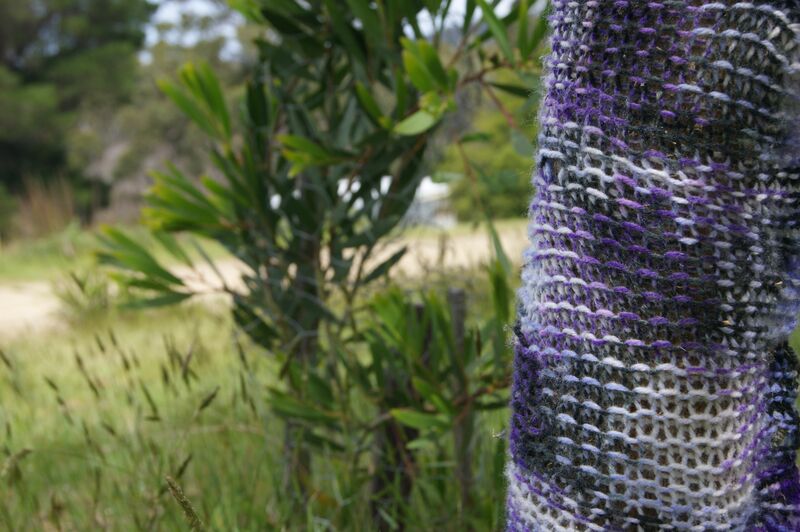 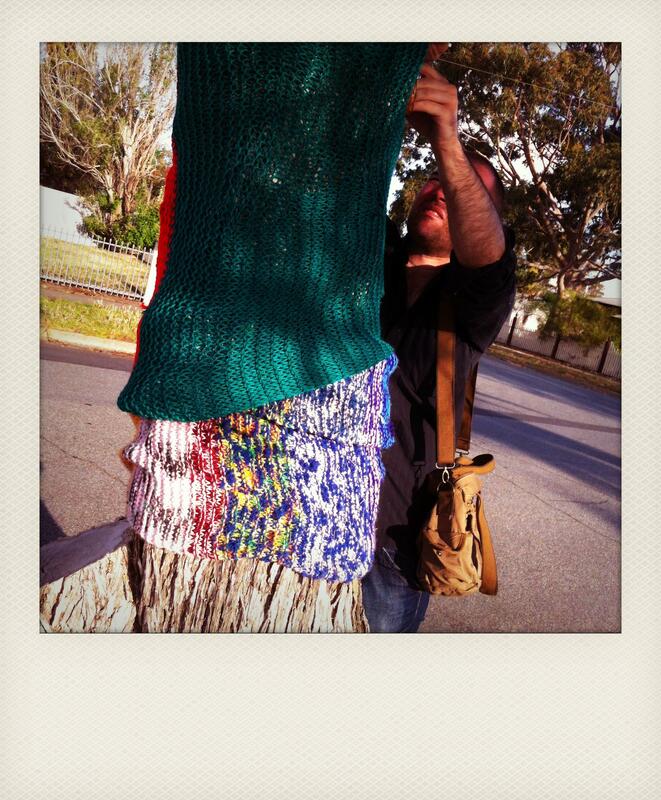 You can yarn bomb with crochet with knitting, old blankets or jumpers. 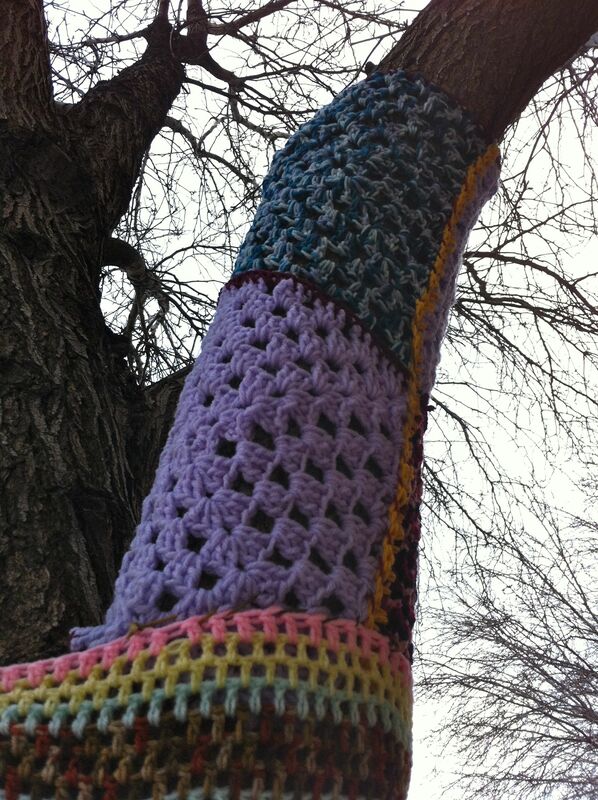 As long as it’s colourful and fun and done with care yarn bombing will spice up and warm up any neighbourhood. 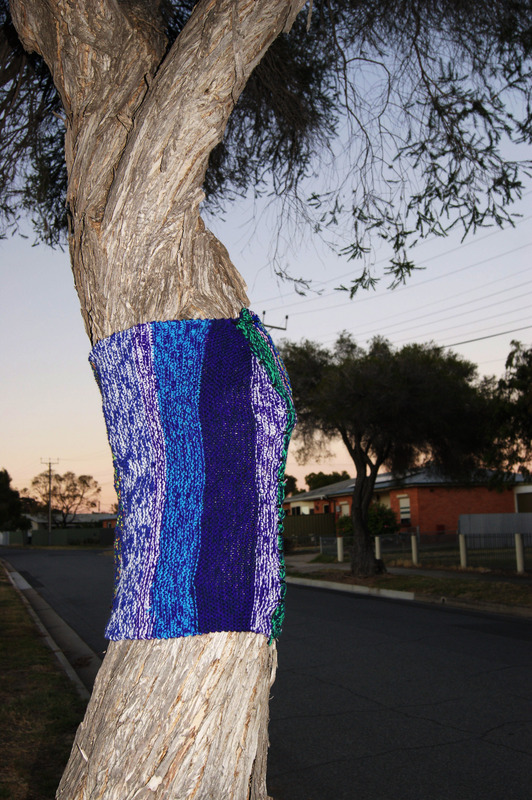 It doesn’t have to cost a lot to knit a tree warmer if you use vintage wool from the thrift store or even an old unpicked jumper. 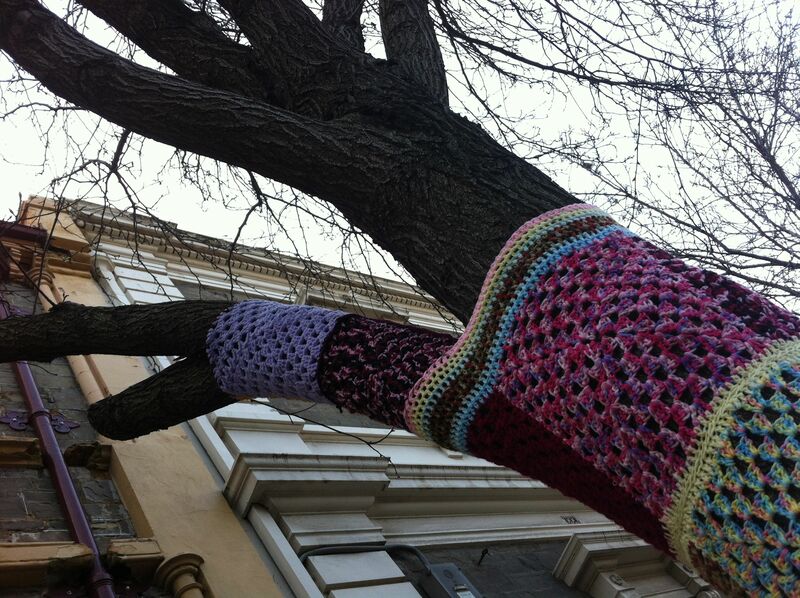 Is this tree up for lease? 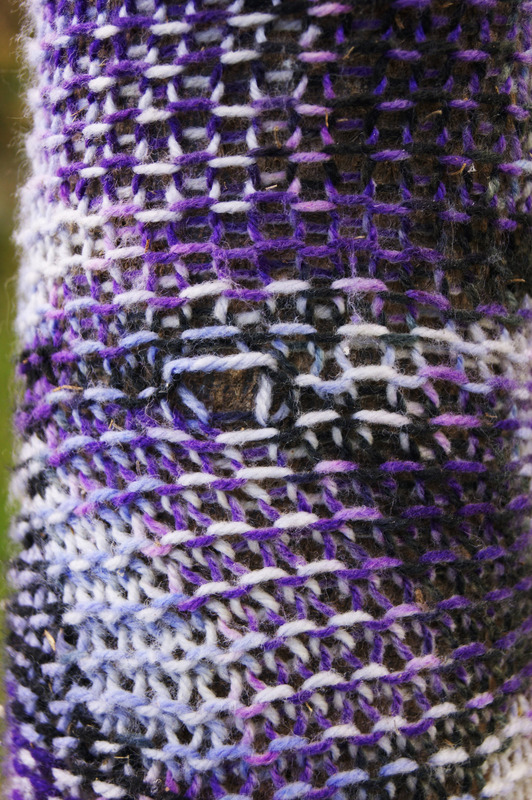 I’ll take it. 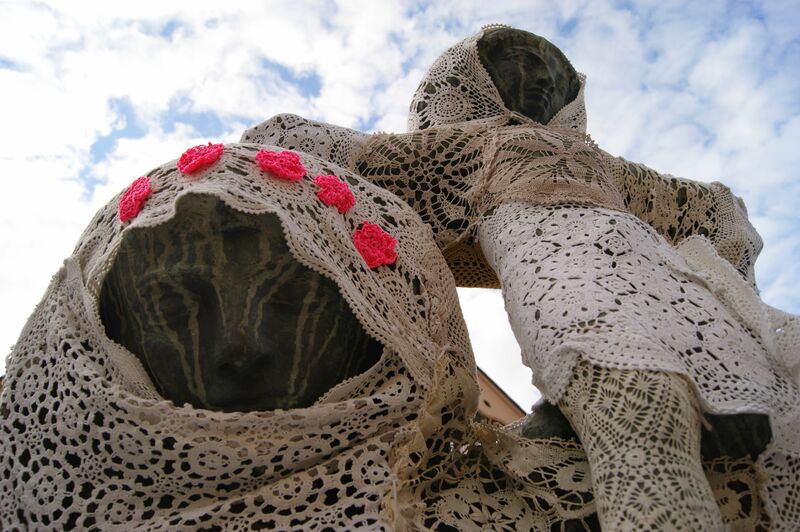 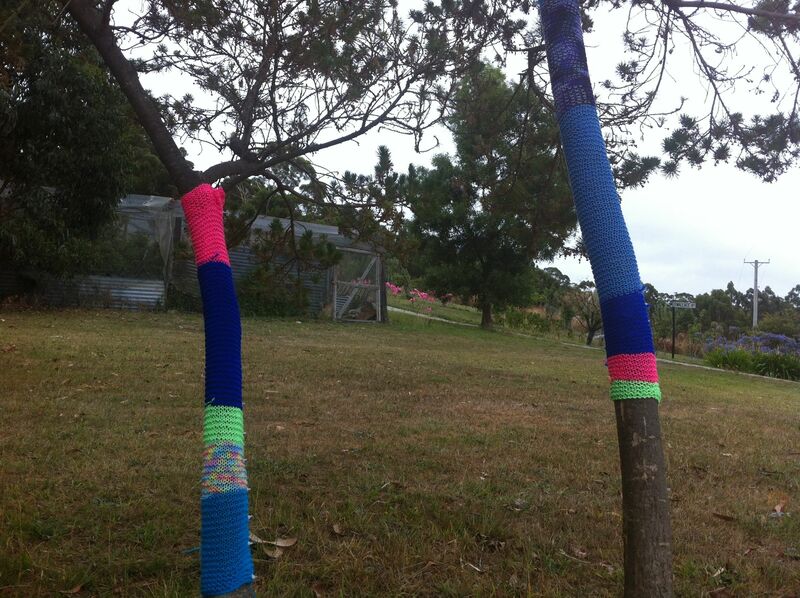 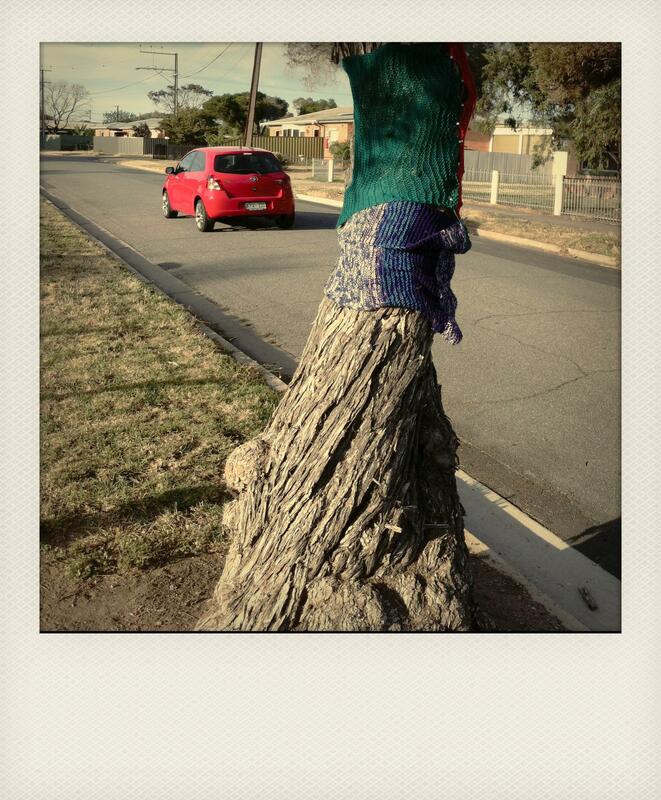 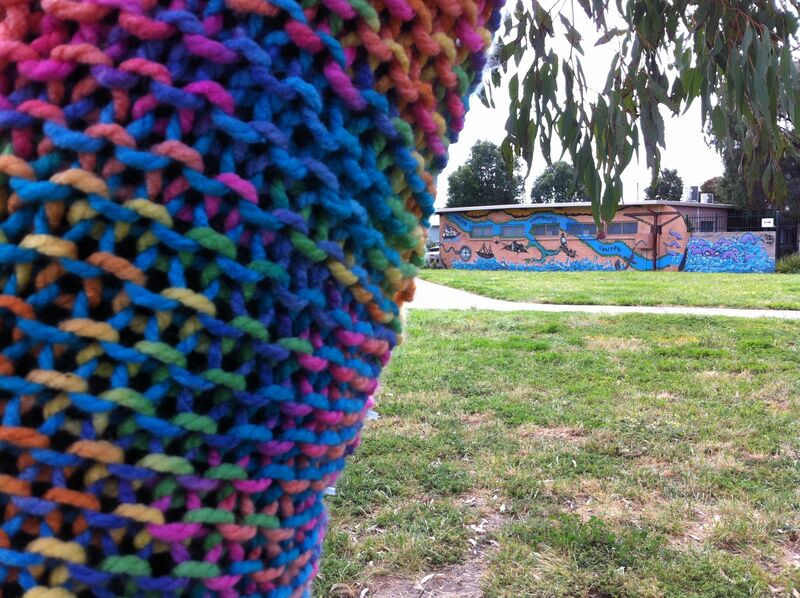 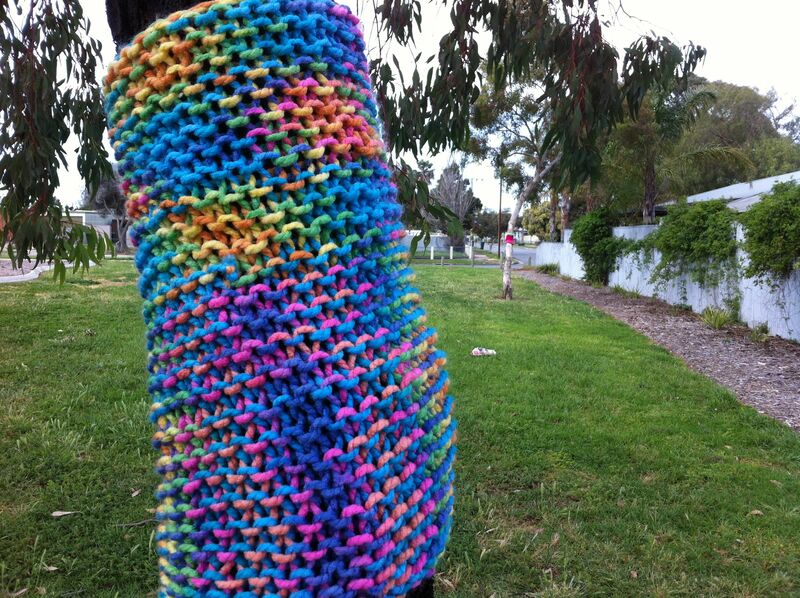 Anybody can take a crack at yarn bombing including girls & boys, kids & grownups alike. 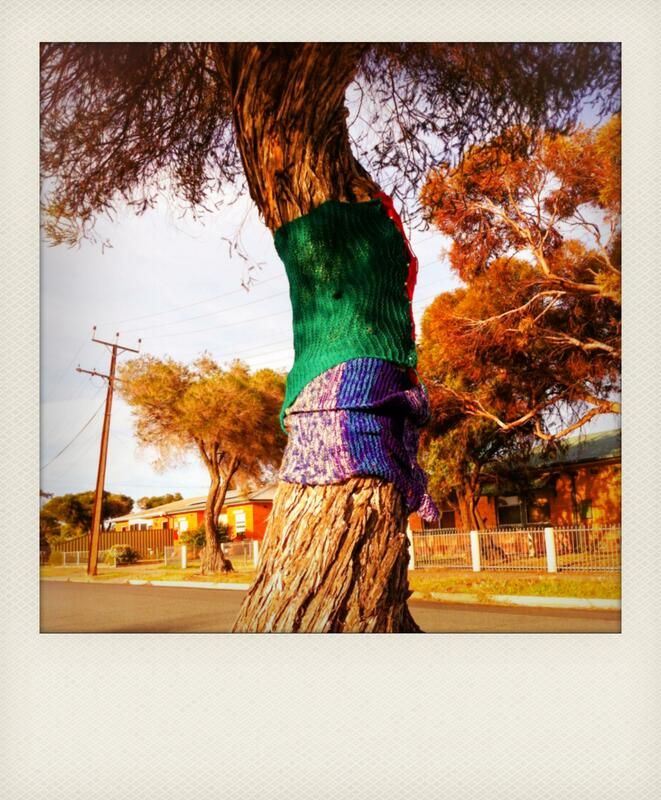 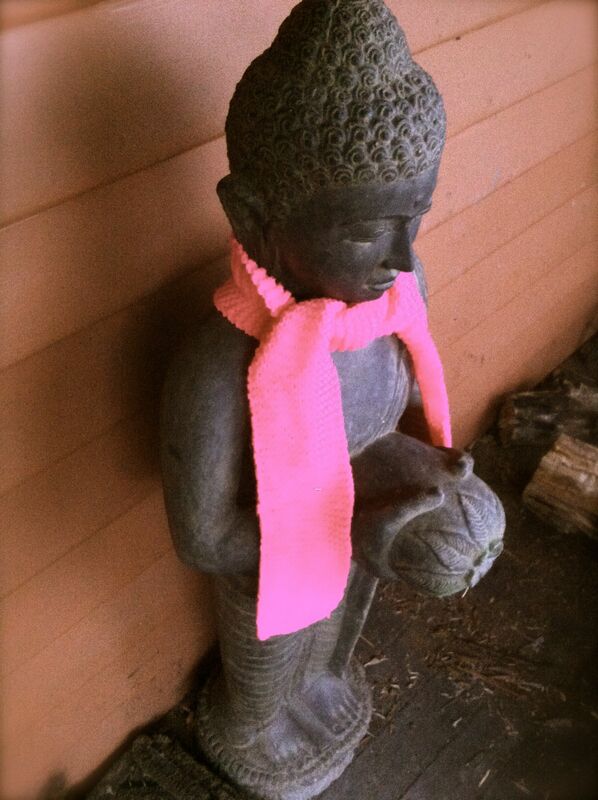 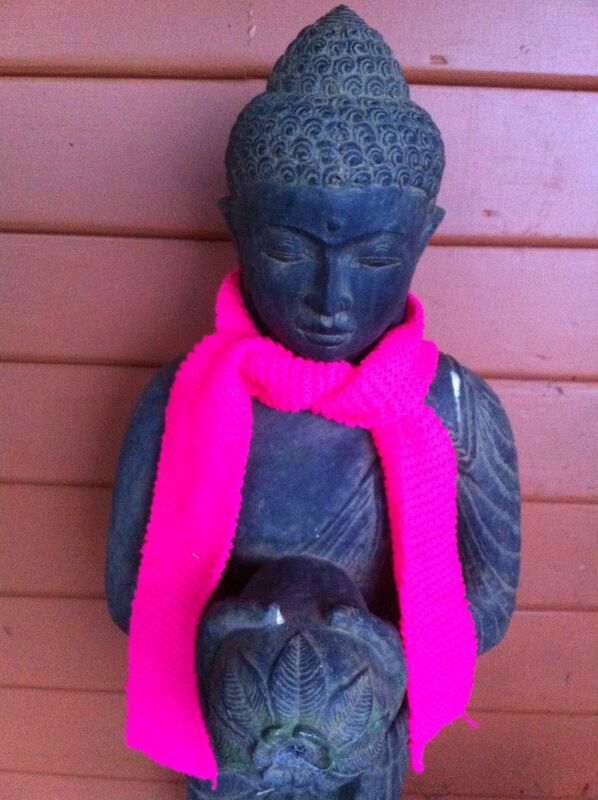 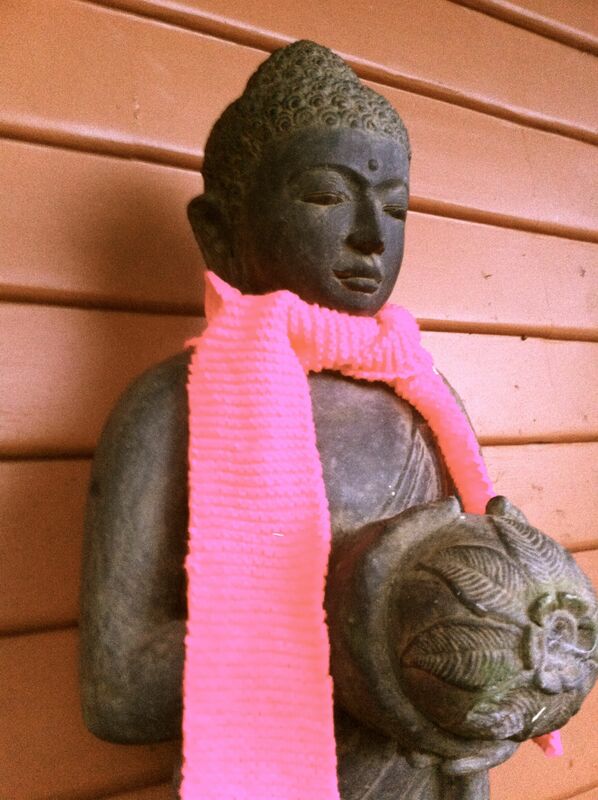 It’s fun to knit craft & sew & it’s always nice to snap a colourful photograph when it’s done. 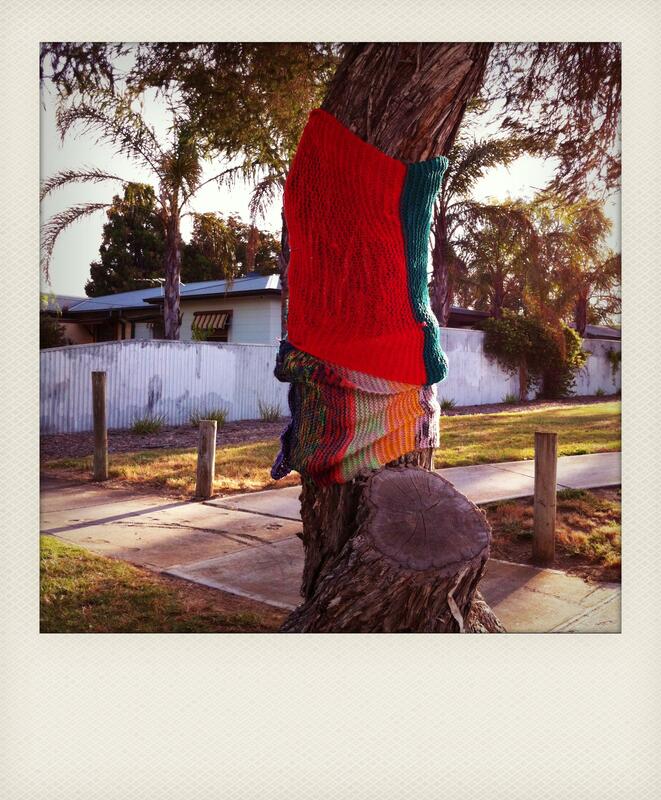 This entry was posted in Yarn bombing and tagged crochet, knit, knitting, photography, street art, tree, yarn bomb, yarn bomb tree on August 16, 2012 by yarnbomb.